What a weekend!… but we expected as much. It all started with a party on Friday night, which was the reason we lost our first game to the Beachboys RFC on Saturday morning. 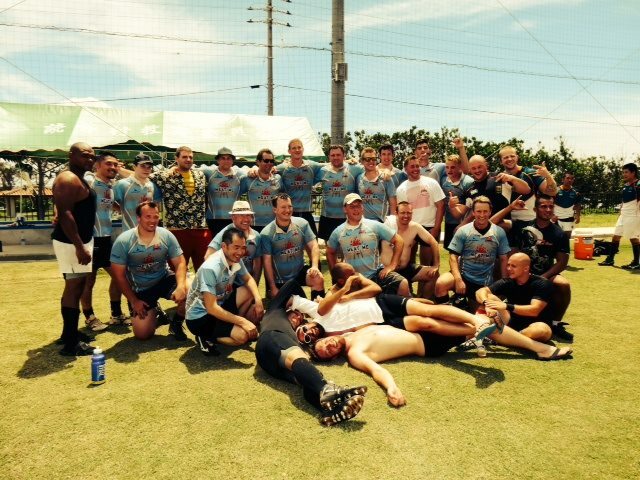 Trying to get a team of hangovers out of bed for taxis at 08:30am was mission enough; winning our first game in the searing Summer heat of Okinawa was a lost cause. 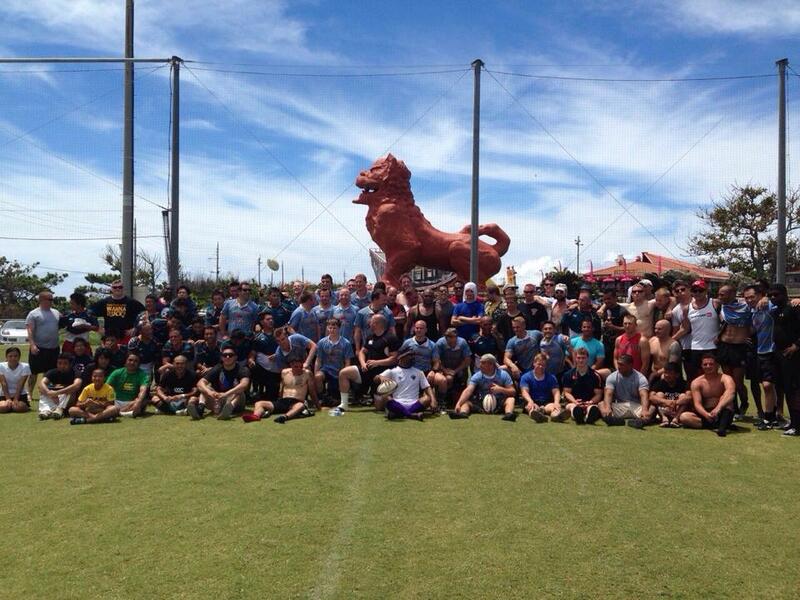 However, we pulled it together enough to win our afternoon game against the JSDF Naha Water Buffalos RFC, which gave us cause to breath a collective sigh of relief. We had achieved something at least. Soaking in the sea after the game was a right treat, and the BBQ with the teams of the tournament was a nice way to finish the day. But the night… was still young, as we raced back to the hotel to change into our PJs and head to the evening’s function, which by all accounts was a raging… success? Sunday was… understandably, a rather slow start, but picked up in the afternoon as we headed off to the beach again for a swim and another BBQ. The night was what could be expected of the final evening of ‘tour’ with the whole team decamping to the main street of Naha for merriment and mayhem. Monday saw people heading off home in all directions at all times with undoubtedly good memories of a great tour, or more likely, very few clear memories of a great tour. I would tell you more, but the censor has slapped me with “What goes on tour, stays on tour”, so you’ll just have to join us next year.